What Kind of Series Do You Prefer? Recently someone pointed out that there are two kinds of series out there: those that are like a fast food hamburger, and those that are like a gourmet meal. …off hand it sounds weird, but the writer of this guest blog entry uses the examples of food to great effect. There’s no denying the legacy that The Original Series has left upon our society. Kirk, Spock and McCoy, along with the USS Enterprise, are legendary, and will probably never be forgotten. But if you focus just on the series, and not the movies that followed, you’ll notice a pattern that, initially, was emulated by The Next Generation: the characters do not change or grow throughout the 3 season run. 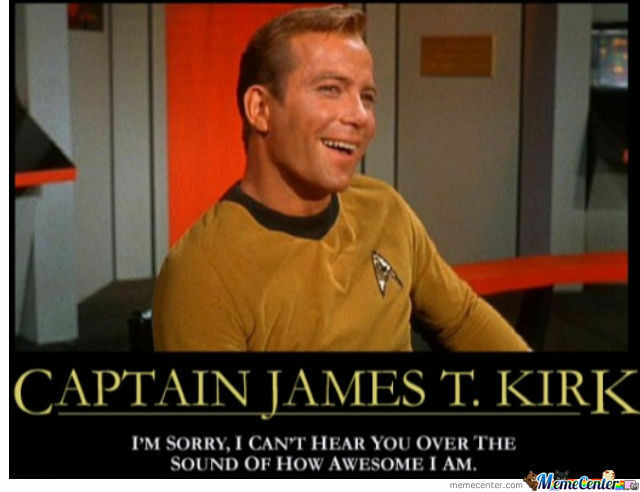 In the beginning, Kirk was a shoot first and ask questions later kinda guy who wasn’t afraid to, *ahem* bridge the interspecies gap with a little…special diplomacy. Not to say that he wasn’t a positive role model in many ways, especially for his intolerance for bigotry, or the fact that he was always leading up front, not afraid to charge in ahead of his team. By the end of the 3rd season…nothing had changed. Just like Bones McCoy was still a grumpy old doctor. And Spock was still struggling to remain as Vulcan as possible with the occasional emotional outburst. Uhura never got promoted. Sulu was always the helmsmen. Probably the only thing that changed was Checkov’s introduction part way through the series, but then he, too, never changed. There’s something to be said about this kind of series. It’s comfortable, knowing that while each story will be just a little different, they’ll be familiar, and the characters will always be how we remembered them. Plus if you happen into the series halfway through, you won’t be lost. It’s not a requirement to have seen the premier to be able to step into. Another example of this kind of series is The Simpsons, and the fact that Bart, Homer and the gang haven’t changed and are still on the air after over 20 years should say something about the power of this kind of story. But then, there’s something powerful about this kind of story. Because as you watch (or read) about characters growing, you grow with them. You watch them change. Like watching Harry, Ron and Hermione grow up. 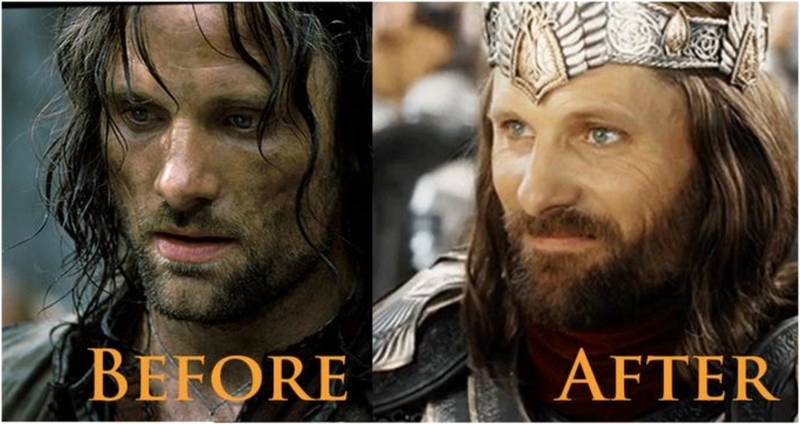 Or seeing Aragorn change from a reluctant leader to the confident King of the West. When the characters reach their ultimate goal, you cheer for them! Or when they fail, your heart aches for them. Or when they lose someone they love, you mourn with them. These characters allow you to connect with them in a way unchanging characters never could. I think this question comes down to preference. There’s a place for everything. And perhaps even mixing these two types is advantageous. 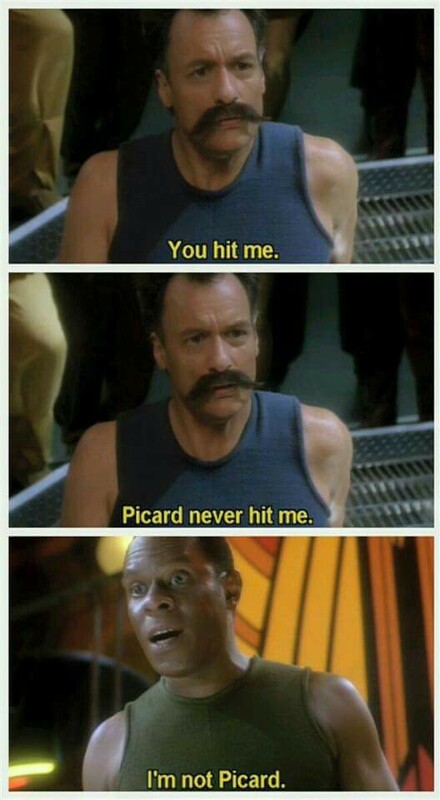 But for me, personally, I will always prefer the DS9’s. The Lord of the Rings. The Stargates. These are the ones I connect with better than any other series out there. Thanks for reading! And to those who celebrate, Happy Easter! Previous PostSelf-Publishing and Marketing – T-Shirts and more!Next PostGetting Married!